Update September 18: API Platform 2.1 has now been released. This blog post has been updated according to the syntax used in the stable version. API Platform is a framework designed to make the creation of API-based information systems easier. It provides server-side tooling to create modern hypermedia and Linked Data APIs in just a few minutes. This new version introduces client-side tools to bootstrap Single-Page Applications using ReactJS by consuming the autogenerated documentation of the API. Six months after the release of API Platform 2, I’m very excited to announce the immediate availability of the first beta of API Platform 2.1! The changelog is huge, more than 200 commits by dozens of developers have been merged. I think we can say that this release will be great! Let’s review the most interesting new features. If you just want to try it, the demo has been upgraded to use this new version and you can download it on GitHub. API Platform automatically exposes API documentations respecting the Hydra (W3C) and Swagger/Open API open standards. 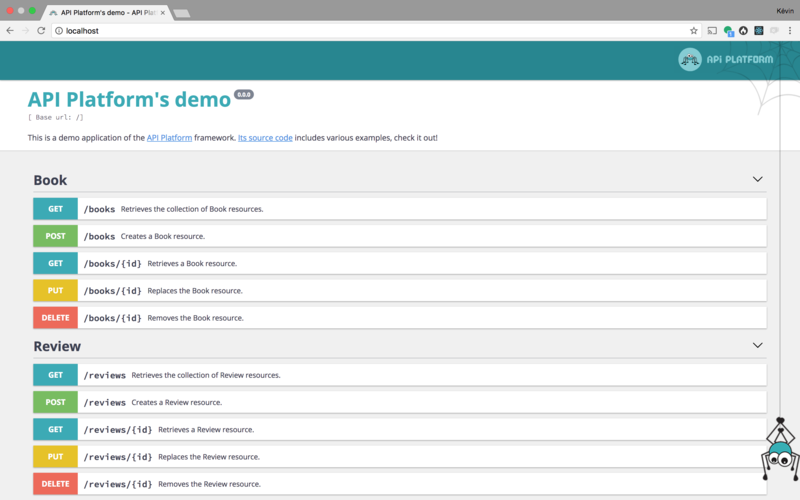 We created a dynamic administration system built on top of the awesome Admin On Rest library that takes advantage of the Hydra format. It means that any API Platform API can now have an admin for free! The admin is fully customizable, a follow up post will come. Thanks to Piotr Synowiec for his contributions and fixes to those frontend tools! Exposing a hypermedia API has many advantages. One of them is the ability to know exactly which resources are included in HTTP responses created by the API. We used this specificity to make API Platform apps blazing fast. When the new cache mechanism is enabled, API Platform collects identifiers of every resources included in a given HTTP response (including lists, embedded documents and subresources) and returns them in a special HTTP header called Cache-Tags. A cache reverse proxy supporting cache tags (Varnish, CloudFlare, Fastly…) must be put in front of the web server and store all responses returned by the API with a high TTL. When a resource is modified, API Platform takes care of purging all responses containing it in the proxy’s cache. It means that after the first request, all subsequent requests will not touch the web server, and will be served instantly from the cache. It also means that the content served will always be fresh, because the cache is purged in real time. The support for most specific cases such as the invalidation of collections when a document is added or removed or for relationships and inverse relations is built-in. We also included Varnish in the Docker setup provided with the distribution of API Platform, so this new feature works out of the box. 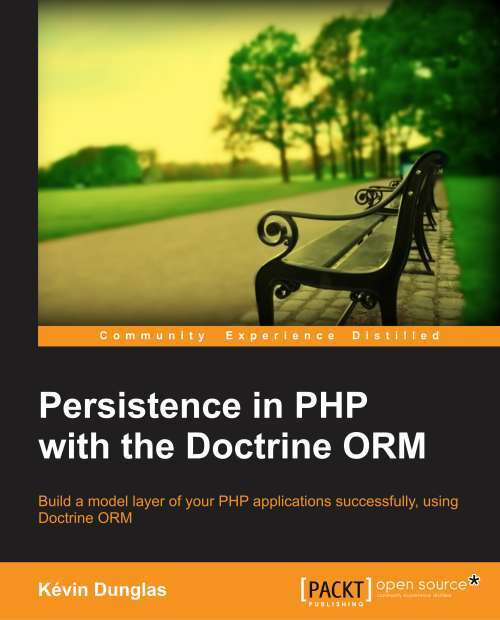 Integration with Varnish and the Doctrine ORM is shipped with the core library. You can easily implement the support for any other proxy or persistence system. A big thanks to Jérémy Derussé, Teoh Han Hui, Fabien Bourigault, Antoine Bluchet and all other involved contributors for their in-depth reviews and good advices. A detailed blogpost about this feature will follow. Thanks to the API Platform’s events and the extension system, it was already easy to configure basic authorization rules. In the version 2.1, we introduced an easy way to configure fine grained authorization rules directly from resource classes. Under the hood, this new feature uses Symfony’s access control expressions. The object variable value is the current resource (or collection of resources) while the user variable contains an instance of the Symfony’s user currently logged in. Having the ability to expose subresources was one of the most requested features. It was already possible to use such URL patterns thanks to custom operations, but it was a bit complicated to do. The previous snippet is enough to expose through http://example.com/products/1/reviews the list of RelatedDummies resources related to the Dummy #1. The documentations will also reflect the availability of this new URL. API Platform comes with 3 new useful filters that you will love. Baptiste Meyer contributed 2 of them. The first one, api_platform.serializer.property_filter, lets the client specify which properties the API must return. When a resource is configured to use it, you can use the URL /products/1?properties=price&properties=currency to only serialize the properties “foo” and “bar” of this entity (all other properties will be ignored). It’s also possible to list the properties of embedded resources with the following format: /products/1?properties=price&properties[brand]=name. The second one, api_platform.serializer.group_filter is similar, but instead of choosing properties one by one, you can pass a list of serialization groups to apply using a URL like: /products/1?groups=detailed. Those two filters allow to easily reduce the size of the returned resources to only include relevant data. The last new filter, api_platform.doctrine.orm.exists_filter, was contributed by Teoh Han Hui. It allows to filter a collection on the existence of a specified value: /products?brand[exists]=0. API Platform has a nice UI built with Swagger UI that is available for every URL of the API when requesting it from a browser (or any client sending a Accept: text/html HTTP header). In API Platform 2.1, we upgraded Swagger UI to its new major version (3.0), a full rewrite in ReactJS (API Platform + React = ❤️) including a bunch of UX improvements. Laury Sorriaux took this opportunity to propose a great custom stylesheet improving the overall user experience and respecting our color scheme. It also contains an animation featuring our cute spider (he will get a name soon, stay tuned)! Last but not least, Daniel Kiesel contributed to improve the integration with OAuth (and FOSOAuthBundle): it’s now possible to login with OAuth from the UI by just adding a few lines of config. One of the coolest features of API Platform 2 was the ability to run the app locally by just typing docker-compose up and to deploy apps in a breath with Kubernetes or Docker Swarm. This Docker setup supports any Symfony-based application. Just copy/paste it in your Symfony project. Improving the Docker configuration was a hard and collaborative work. I want to especially thanks Jacques Lefebvre, Teoh Han Hui and Antoine Bluchet for the large numbers of hours they spent to make this possible. Impressive isn’t it? Flex only works with API Platform 2.1+. Older versions aren’t supported. Of course, many other new features, fixes and improvements (especially regarding performance) have been merged, you can read the full changelog to learn more. Testing, testing and testing again. Please try the new features, upgrade your existing projects and run your tests suites against this new version! Report any problem on GitHub. It’s very very helpful to us! Update the documentation and write new articles for the new features. They are already many pull requests opened, reviewing and improving them is much appreciated. A last and big thanks to all the API Platform Core Team and especially to Teoh Han Hui, Antoine Bluchet, Baptiste Meyer and Hamza Amrouche for their detailed work reviewing all contributions and getting this beta out! P.S. : Spread the word, please give us a star on GitHub or tweet about the release of this new version! The given example for subresource has a typo in it. I have followed the instructions, and my screen for the API Admin just says “loading…”. I am wondering what I am missing.